I pay my obeisance to them. A tension between the idiom of the poem, which uses chaste Hindi diction, almost Sanskritised one with a conventional rhyme scheme, and its intention to bring to fore the ‘unparalleled services of those/who shunned publicity’ is too apparent and revolutionary. What is remarkable is the rare maturity of tone and seriousness that the poem exudes for a poet in his twenties. It appears that the troubled childhood spent in abject penury and parental neglect propelled an automatic connection with the suffering masses of his Mithila region, which despite its cultural richness remained steeped in ignorance, superstition, exploitation and inequality. Instances of unrecognized, unappreciated, unarticulated aspirations are more a rule than exception but to be able to express them in an effective poem at the height of the euphoria and expectations of the national movement puts Nagarjun at the highest pedestal of subaltern enquiry. "The literature which does not arouse in us a critical spirit, or satisfies our spiritual needs, which is not ‘force-giving’ and dynamic, which does not awaken our sense of beauty, which does not make us face the grim realities of life in a spirit of determination, has no use for us today. It cannot even be termed as literature." "Let that be the poetry we search for: worn with the hand’s obligations, as by acids, steeped in sweat and in smoke, smelling of the lilies and urine, spattered diversely by the trades that we live by, inside the law or beyond it." 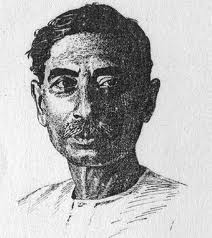 Premchand's speech on new literature as founding President of Progressive Writers' Association in 1936 is not very different from Pablo Neruda's ‘Towards an Impure Poetry’ written in 1935. Against this historical backdrop, the poetic achievement of Nagarjun, born Vaidyanath Mishra at Darbhanga in Bihar and who acquired the name ‘Nagarjun’ after the famous Buddhist scholar on embracing Buddhism early in life to study Buddhist literature, is something that can only evoke awe and inspiration among the contemporary generation. It is so, because Nagarjun at his own level was already experimenting with both the content and the form of his poetic expressions in a manner that these manifestoes tried to push forth in the form of a well-articulated theory. Moreover, even though, Nagarjun associated himself with the left-oriented and progressive movement in literature, he remained completely individualistic in his approach thereby saving his poetry from getting typecast. 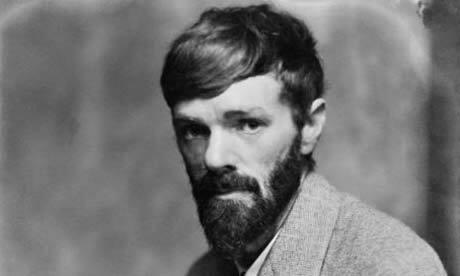 In this respect, he can be compared to D H Lawrence (1885 –1930) who despite getting influenced by the prevailing psycho-analytical theories of the first few decades of the 20th century in the West, proved to be much greater artist than a Virginia Wolf or a James Joyce as he mastered the ideas like the use of stream-of-consciousness technique of storytelling by transcending it altogether. Lawrence was too much conscious--which he euphemistically called ‘blood- consciousness’—about the role of society in the making of an individual’s psychology. He approached the psychological dilemmas of his characters in the backdrop of their social realities thus never completely fitting in and breathing the high Modernist air of his contemporaries. When did I bow my head? When did I offer water to the sun? I would never take your name even as an aberration. Reading the two poems together, one would be on a slippery ground if one thinks that the poet has in any way discarded his rebellious tone. Like the diurnal movement of the earth while remaining fixed on its axis, Nagarjun’s poetry moves in a spatial fashion whereby his ideas and emotions go through various phases of churning, guided by an ever inquiring spirit. In the context of Nagarjun’s life, this symbol of spatial movement is all the more apt because while the restlessness of his physical being took him to far off places like Varanasi, Calcutta, Lahore, Delhi, Ceylone, Tibet etc, never allowing him to settle down peacefully, his urge for intellectual enrichment made him a multilingual master of classical Sanskrit, Pali, Prakrit, Hindi, Maithali, Bangla etc. While on the one hand, he acquired deep knowledge of traditional wisdom and philosophy of the ancient India by studying Sanskrit philosophical text, Buddhist scriptures and manuscripts, he got himself systematically trained into the understanding of Marx and Lenin. At the instance of Rahul Sankrityanand, he plunged himself to the Peasants’ Movement in Bihar led by Swami Sahajanand Saraswati landing himself behind the bars many a time. 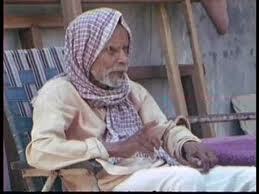 From the Naxalite movement to the socialist movement to the students’ movement of Jayaprakash Narayan, Nagarjun got deeply associated with all the major anti-establishment political movements that seized the imagination of the masses in the country. However, even though he spoke against the established mores, he never shied away from criticizing any attempt to forge some kind of system or establishment of its own by the anti-establishment activists or intellectuals as his concerns drove sustenance from the poor, the exploited, the wronged, the unsung and the unwept masses. His 12-line poem Jankavi (The Peoples’ Poet) written in 1947 which has its rather grand and nihilistic climax in the poem titled Mantra-Kavita written in 1969, shows the utter disdain with which he viewed such contemporary political movements which slid into mere propoaganda and sloganeering reducing themselves to somekind of dogma. It is this ever-wandering urge, not only physically but also intellectually that made Nagarjun a perpetual dissenter and a non-conformist to the core—an outsider, who was deeply entrenched in social realities, combining levity with seriousness as in Mantra Kavita. Not surprisingly, because of this self-mocking and intensely satirical tone that dared to attack hypocrisies of all hues, Hindi critics Prof. Namwar Singh as well as Vishnu Khare have compared him with Kabir, a comparison which seems more appropriate because of Nagarjun’s vagabond and rather carefree attitude to the affairs of the world, reflected also in his pseudonym ‘Yatri’ under which he wrote poetry in Maithili. Nagarjun's poems on Jack-fruit, twigs of neem tree, chorus of old pair of shoes, cadamba, khichdi, mongoose, roasted corn-cob, little flowers etc. are comparable to the beautiful elemental odes of Pablo Neruda on themes as common place as bicycles, bees, village movie theatre, stamp album, suit, wine etc. Accordingly, it is rather ironical that Nagarjun himself has been typecast as a People's Poet, which is nothing but a convenient tool to deflect attention from the complexities and imperfections that his poetry embraced and expressed. 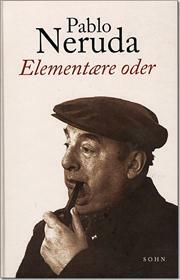 In the context of Pablo Neruda, the torch bearer of the poetry of protest in the 20th century, serious attempts have been made to focus on his other aspects, especially the beautiful elemental odes on themes as common place as bicycles, bees, village movie theatre, stamp album, suit, wine etc. to underline his keen observations of daily life. The poems echo what Neruda says in his Memoirs: “I am part of the essential majority; I am one more leaf on the great human tree.” It is needed a tribute to the genius of Nagarjun that while carrying the flag of revolution, he showed a deep desire to express, like Neruda, familiar aspects of his rural surroundings by writing poems on and through imagery such as Jack-fruit, twigs of neem tree, chorus of old pair of shoes, cadamba, khichdi, mongoose, roasted corn-cob, little flowers etc. His poem Jaan Bhar Raheb Hain Jungal Me (They are Enlivening Up the Forest) celebrates the unmistakable contribution of the ‘essential majority’ presented in the form of ‘numerous glow-worms’ who are not to be mistaken as “helpless”, instead they are ones who enliven up the entire forest after the rains. 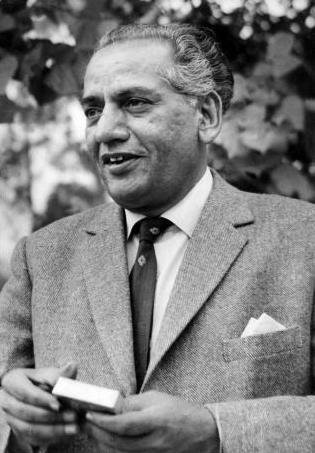 ﻿﻿In an article on the Urdu poet Faiz Ahmad Faiz (1911-1984) another flag-bearer of the poetry of protest and Nagarjun’s contemporary who also wrote equally moving personal and sensuous poetry, the eminent theorist of Post-Colonialism, Edward W. Said (1935-2003) , imagines Faiz as ‘a poet whose poetry combined the sensuousness of Yeats with the power of Neruda’. Considering that Nagarjun brings with himself a baggage of individual genius that can not fit in any progressive or romantic or modern school of poetry in Hindi literature, he can be compared with Neruda on the one hand in the manner he juxtaposes the personal with the impersonal and with D H Lawrence on the other. With Lawrence more so for withstanding, albeit like an archetypical outsider, the onslaught of poetic and literary manifestos with personal and literary honesty and a sense of discrimination underlining, like the British novelist, the essential imperfectness of art as its creators themselves are always in the process of evolution. Superb, Vikram. It is my favourite too. Only a great poet could give this kind of idea.